It’s been a few days since the Samsung Galaxy S7 and Galaxy S7 edge went on sale in 60 markets across the globe, including the company’s home country. According to a new report surfacing from Korea, Samsung managed to sell over 100,000 units of the Galaxy S7 and Galaxy S7 edge in the first two days in their home market. Combined sales of both handsets reached 60,000 on the first day and 40,000 on the second day. The report mentions that the Galaxy S7 edge amounted to 40 percent of the sales and are set to be on par with the demand generated by the company’s flagship devices last year. Previously, we’ve heard that the demand of the new handsets exceeded company’s expectation, but we’re hoping the Korean giant will have enough units of both devices, especially the Galaxy S7 edge, to meet the demand across the globe. 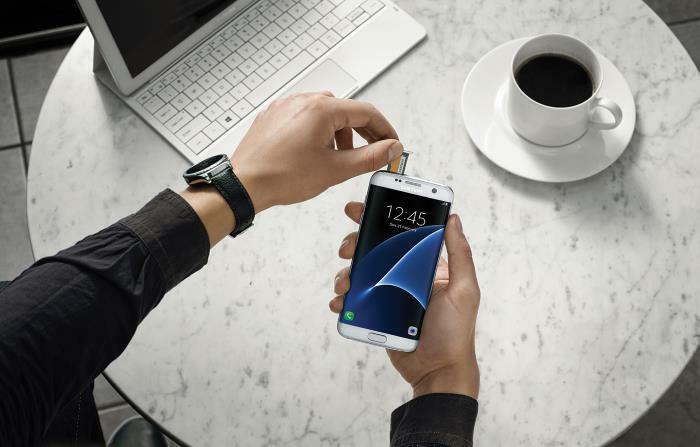 Last year, the company misinterpreted the demand and didn’t have enough units of the Galaxy S6 edge. Anyone received their Galaxy S7 or the S7 edge? Is it worth the hype? Let us know using the comments below. The Samsung Galaxy S7 replaces the Galaxy S6 and we compare the Samsung Galaxy S7 vs Galaxy S6 in our handy guide.